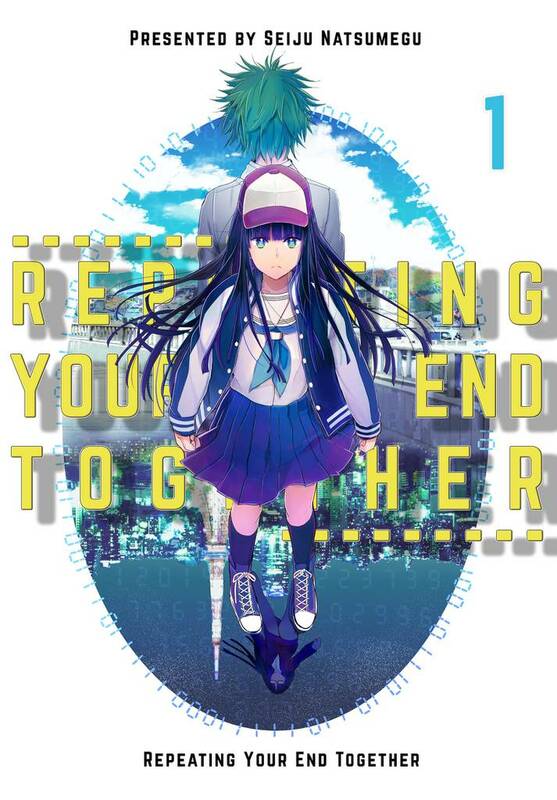 Repeating Your End Together(Seiju Natsumegu) Review｜MANGA.CLUB｜Read Free Official Manga Online! I liked it. Then again i like time travel stories. this is really good for its first chapter, makes you interested immediately, i don't normally read Manga but this was enjoyable. This is like a shout out to Steins;Gate. I wonder what world line the story takes place in? I'm looking forward to what happens next. I'm in love with this comic. Falling in love with a smart man into mathematics who seems to be kind. But I really really liked it. I really hope to see more chapters-- time loops, love story with a scientist. Love this. There were plenty of references to the Steins;Gate series that caught my eye, some of them blatantly obvious, but I'll ignore those for now as I tend to like time travel stories. I'm looking forward to more back story of this character and her powers. This is quite intriguing I like how we are not starting at the being of the main character getting her abilities but in the middle. The mangaka orchestrates time spectacularly which adds to mystery element & keeps the reader engaged. A bit too many Steins;Gate references. But I like time-travel stories and the first chapter was intriguing, so I want to see the rest of the story. I've always loved time travel stories and the sypnosis catch my attention right away. The story revolves a girl who has the ability to travel through time but can only do so minimally. She got into an accident and went back 10 years in time, reuniting with her crush who was supposed to have died. I'm excited to see how the different decisions she make will create the butterfly/ripple effect, and possibly causing a huge impact on the ending. Also looking forward to see more character development! I love the time travel concept along with the Butterfly Effect. I love that the main character uses her time travel skill to do better in business. Very interesting plot. I'm wondering if she'll be able to dodge the accident now that she went so far back in time or if it is inevitable as it is believed to be by the main character. I highly recommend to anyone interested in time travel. Time travels were always an interesting topic, especially when things don't go as planned. Hopefully I can see through to this story to the end! The start is great and I can't wait for more chapters! A tragic time traveling story that really goes all out. Some aspects of the manga seem rushed but the potential is good enough to keep it on my reading list for bit. Good job! Time traveling love story! Nice art and a promising story :) def need to read! I love that art style. It caught my eye immediately. The story is soft, fleshed out evenly, and enjoyable all around. After reading the first chapter, I was instantly hooked. Time travel series always make for interesting and fun stories. The art style is appealing to me and with a good premise, I am definitely reading this to the end. Another entry to time travel and fate changing stories, Repeating Your End Together is off to a good start, explaining just enough to get you hooked with its first chapter. The art style is charming and I really like the design of our heroine. Extra points for the stubbly nerd love interest!